Just a few hours away from Bangkok, Koh Chang has great activity options for all travellers, from island-hopping, kayaking to cooking classes! 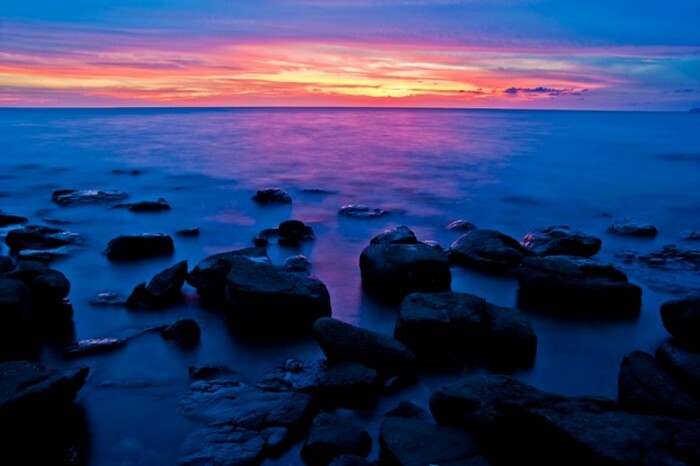 Koh Chang is a mountainous beauty just hours away from bustling Bangkok. It’s a secluded island, nothing as touristy or popular as islands in Thailand like Phuket and Koh Samui. 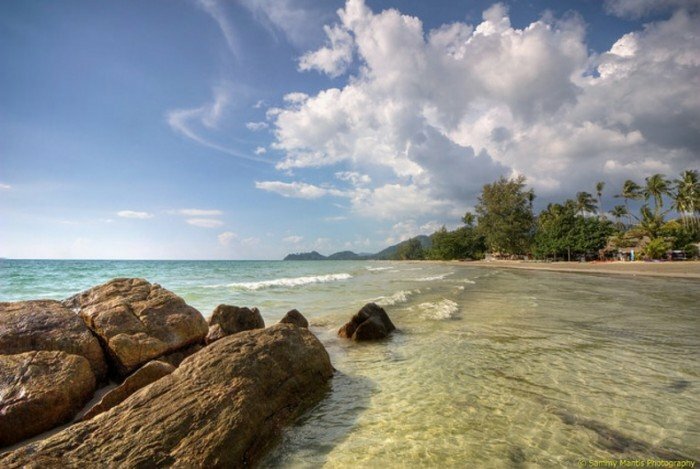 Think lofty peaks, pristine waterfalls and empty beaches – that is Koh Chang in a nutshell. To get to this slice of paradise, you have a few choices. If you wish to reach Koh Chang in the shortest possible time, then a direct flight from Suvarnabhumi to Trat Airport would be ideal. Upon landing, hop on for a direct door-to-door minibus transfer to your resort! For a cheaper option, consider a bus connection instead. There is a VIP bus from Bangkok’s Suvarnabhumi Airport all the way to Koh Chang and it costs 600 baht for one-way and 900 baht for a round-trip. 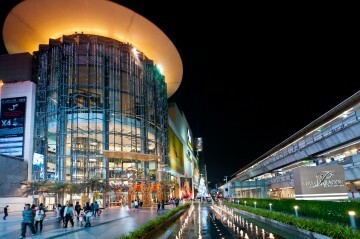 It is also possible to make this journey by public transport from Ekkamai Bus Station. 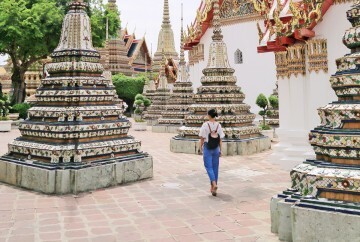 Here are the best things to do in the lovely island of Koh Chang! 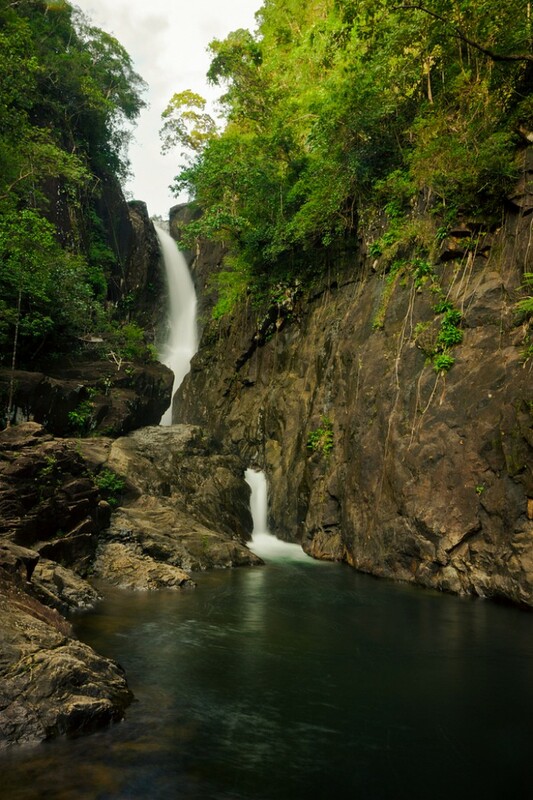 The mountains are the main source of water for the waterfalls in Koh Chang, hence it is pristine and pure. The most popular waterfall is Klong Plu, which cascades 600 metres over amber sun-soaked cliffs. 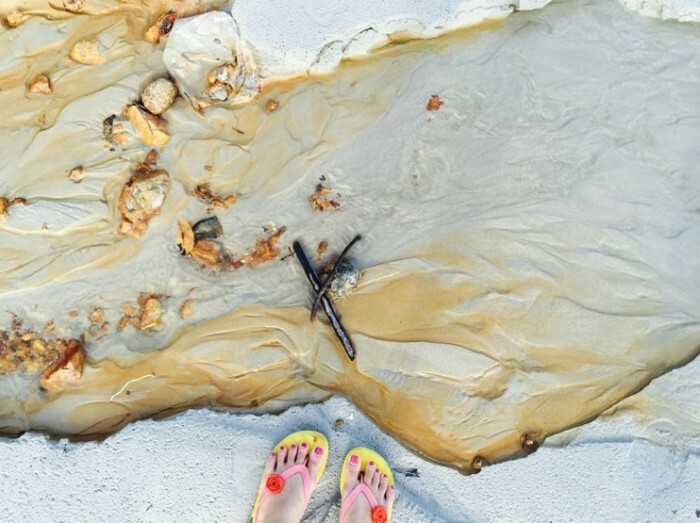 Wander down the stream and you will find clear pools to soak in. If you’re a real daredevil, we challenge you to scale cliffs and make an epic jump into the pool – but check the depth of the water first, of course! 217 square kilometres of gorgeous scenery, tropical forests and stunning seaside. 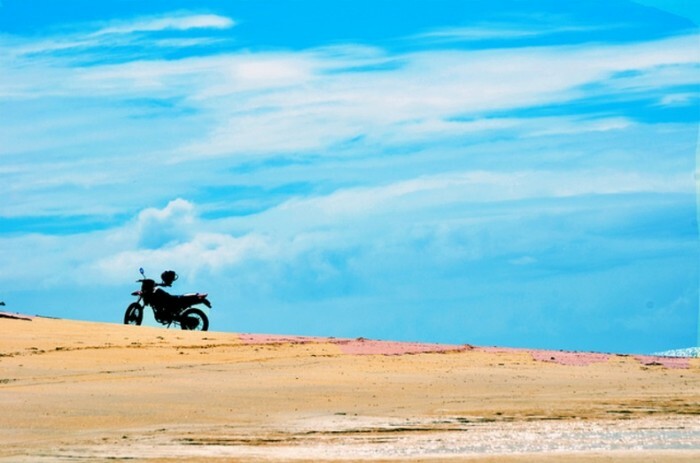 To explore this island, cast your inhibitions in the wind and mount a scooter. You can easily rent a bike for a short ride, even if you don’t have a license (not that encourage this). Motorbiking is the best way to explore Koh Chang…and it’s cheap! There are little hikes peppering the island, but the highlight is a cross-island trail connecting Klong Plu and Than Mayom waterfalls. 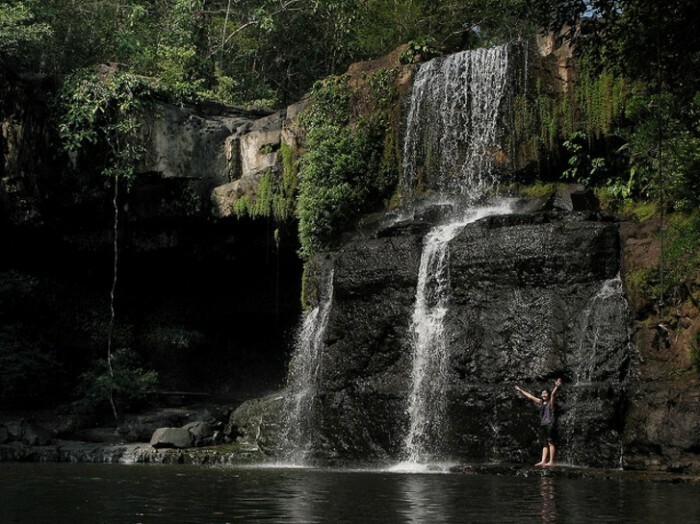 Here is where you can conquer the island’s rugged terrains and cool down in waterfalls. The island’s best offerings, though, are the arduous treks to the top of Mount Jom (630 metres) and Mount Salak Phet (744 metres). You can spot colourful birds along the way and the outstanding views from the peaks are truly worth the sweat. If it were up to us, we would have dinner by the beach every night! 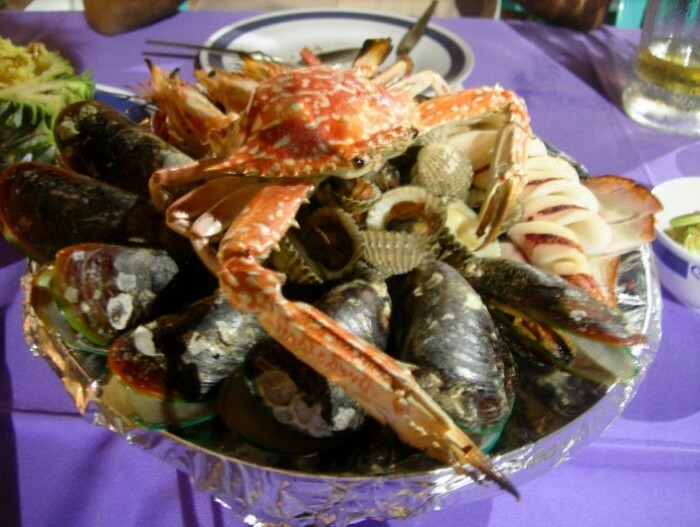 Enjoy a cooling sea breeze while you dig into a sumptuous plate of fresh seafood. Try Thai-style barbecued fish, spicy squids, crabs in delicious gravy and calamari rings. Visitors to Ko Chang should definitely drop by the Buddha View Restaurant for both their scrumptious seafood selection and the wonderful atmosphere. Tuck into a generous platter of tiger prawns, squid, shrimp and crabs, as you dine on clear glass tables where you can dangle your feet right above the water! The Blue Lagoon is also another great place for seafood enthusiasts to chow down while enjoying the serenity of the surrounding greenery! 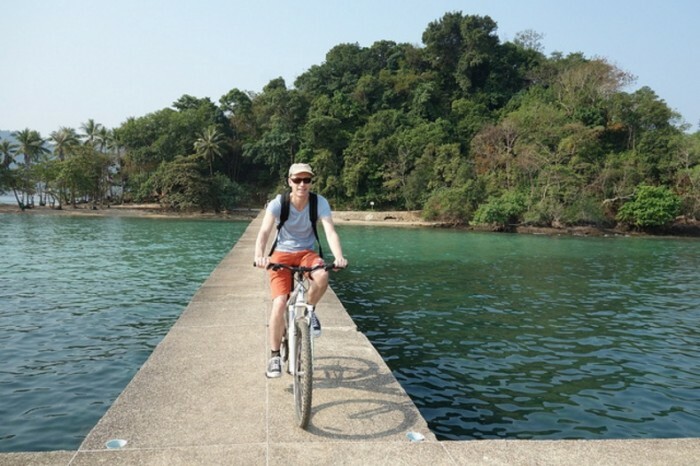 Cycling is a safe and easy way to roam the island. The trails range from paved tarmac to thin ribbons of dirt path. There are also cycling tours on Koh Chang that take you to hidden gems! Koh Chang is unsurprisingly famous for its golden beaches. The famous ones are Lonely Beach, White Sand Beach, and Hat Khlong Phrao. They are fringed with palm and coconut trees against gentle mountain slopes. If you want something more quiet, we challenge you to find the hidden Haad Wai Shak. The upside to Koh Chang’s recent developments are the lavish resorts where you can enjoy the island life is comfort and glamour. When you’re sick of getting sand everywhere, go for a soak in a temperature-controlled pool with an ice-cold martini. Get room service and eat in the bed. You’re the king (or queen!) or your castle! Santhiya Tree Koh Chang Resort is a popular choice among tourists, due to their fusion of modern architecture and traditional Thailand culture. Spacious comfortable rooms and tranquil walks along the beach make guests feel as if they’re royalty during the short stay! 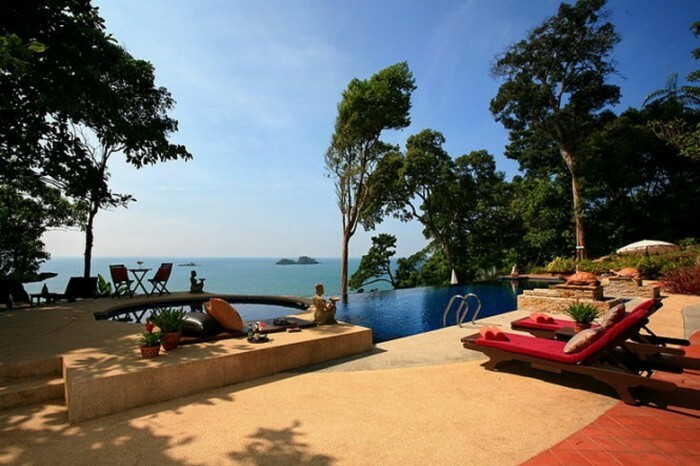 The Emerald Cove Koh Chang is another top choice, with a luxurious design and a wonderful beachfront. Visit the neighbouring island Koh Kut (or Koh Kood), the wilder, more handsome brother of Koh Chang. You will find breathtaking beaches bordered by untouched plots of land, more waterfalls, and quaint fishing villages. It’s a natural heaven just waiting to be discovered. Koh Kut can be reached simply via speedboat from the Kai Bae or Bang Bao Pier. The scenic journey will take about 1–2 hours, depending on the weather condition and the number of stops around Koh Kut and the other islands in the archipelago. The boat ticket can be purchased in almost every hotel around Koh Chang. Put your swimming shoes on and go frolicking with barracuda, eel, stingray, angelfish, sea turtles and the occasional whale shark. After all, the point of travel is to make new friends right? 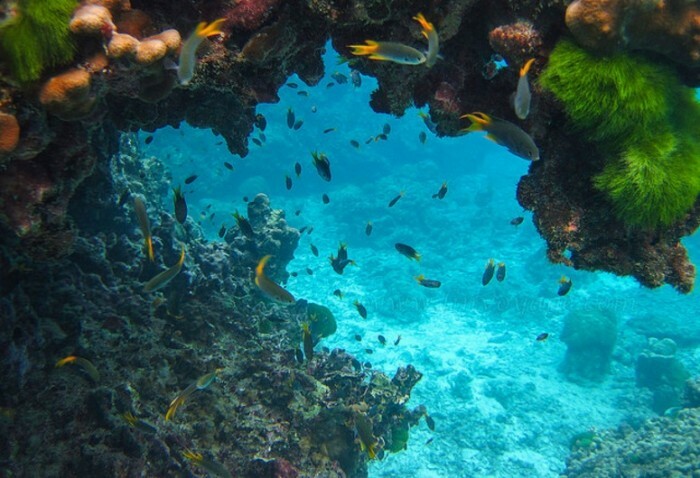 Follow them around colourful coral reefs which are a whole new world from Koh Chang on land. The island party scene in Thailand needs no introduction. 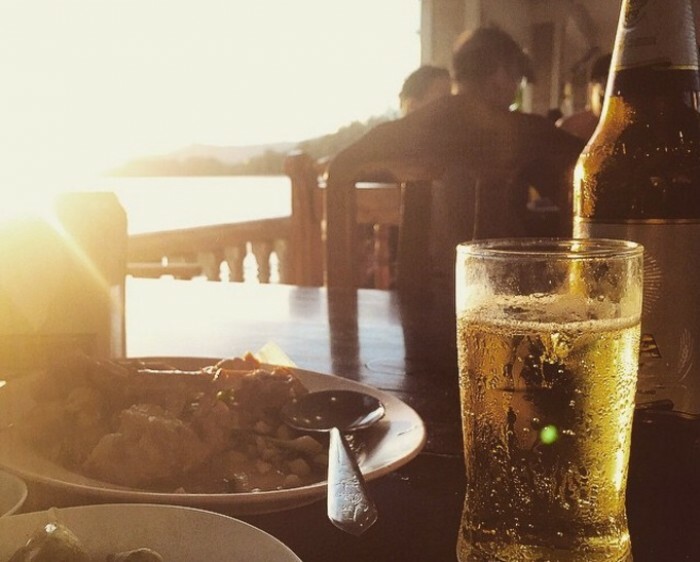 Koh Chang has the typical pickings of beachside bars serving cheap drinks, but these are much quieter compared to islands like Koh Phangan and Phuket. The White Sand Beach is a local hotspot for your nightlife needs, with popular, laid-back bars like Oodie’s Place and Sabay Bar that will be sure to sate your thirst for alcohol. If you’re looking for something more lively, head down south on the road to find “Little Pattaya”, a small cluster of beer bars aptly named after the renowned party destination. Pool tables, imported beers and bar girls await those seeking to make the night worth remembering! Want to eat Thai food every day? 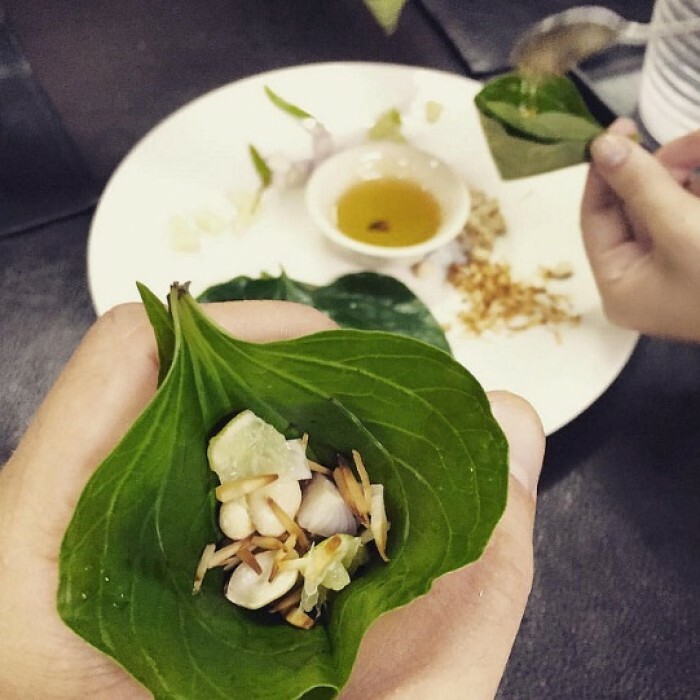 Join an authentic Thai cooking class. Koh Chang has lovely open-air kitchens where you can learn to prepare Thai food under the guidance of a teacher. 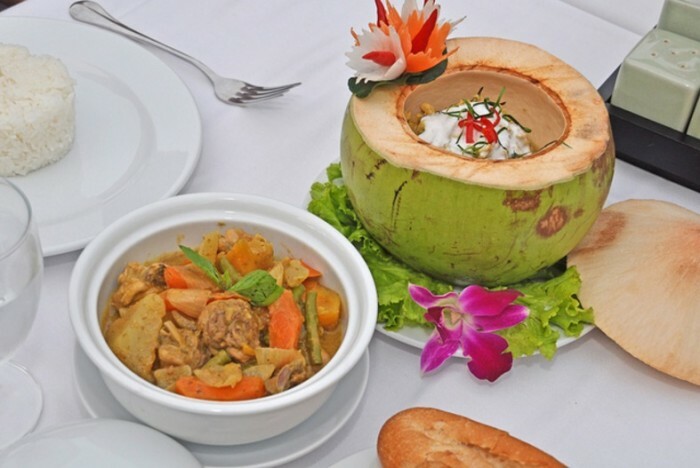 The most popular school, Blue Lagoon, has classes once a day running from 11am to 4pm, and you’ll learn how to make 5–6 delicious Thai dishes. Boxing isn’t just reserved for the ring. It’s great for self-defense and weight loss too! 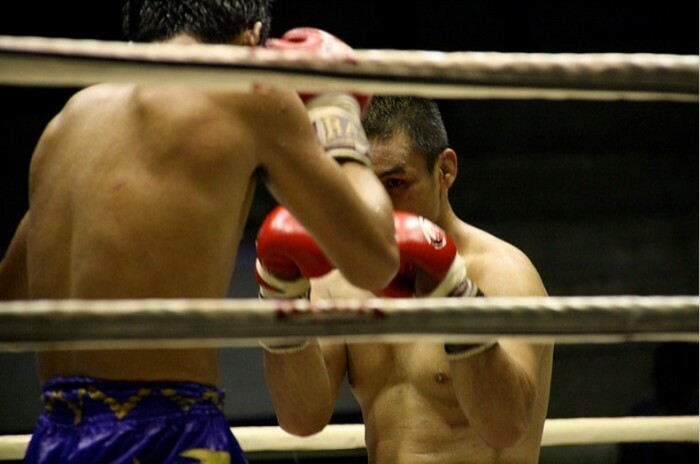 Check out Koh Chang Thai Boxing Centre and learn how to become a real knock-out *wink*. Their coaches are Muay Thai experts who have competed in top venues such as Bangkok’s Lumpinee and Ratchadamnoen stadiums. 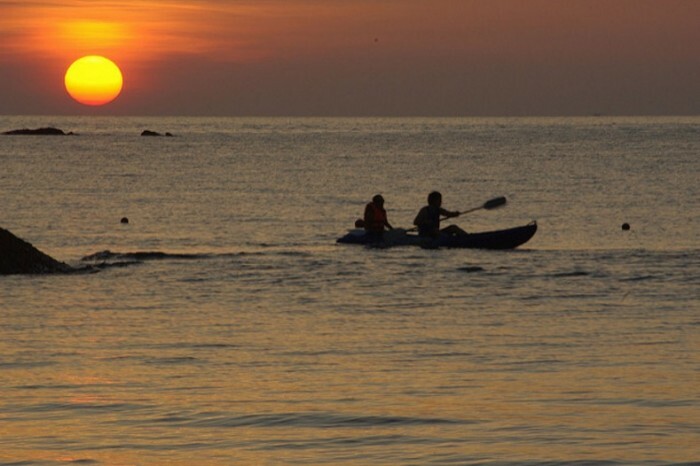 Witness the fascinating views of the archipelago and nearby offshore islands with sea kayaking. You can easily rent a kayak from most resorts and embark on your seafarer journey! Paddle along deserted beaches such as Wai Chek Beach and find yourself a deserted snorkelling spot, or float into mangrove forests and wander around the Salak Khok Bay. 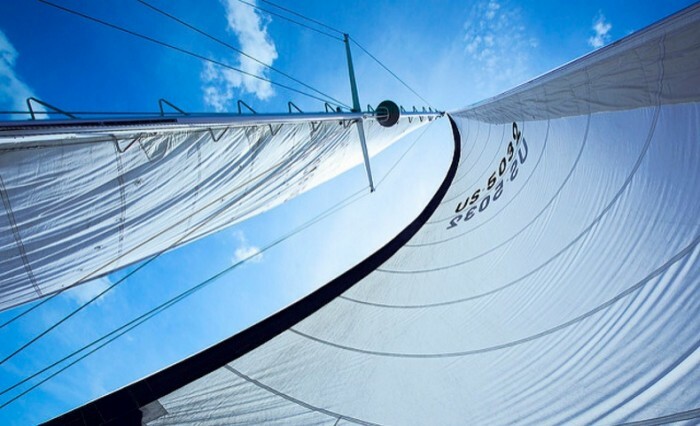 If you’re a sailor, forget the idyllic paddling and ride the wind on Koh Chang on a chartered boat on the blue ocean. It’ll bring you to northern islands Koh Klum, Koh Wai, Koh Mak and more! Finally, lie lazily on an open-air bed while getting professionally massaged. There are dozens of spas, massage places and beach beds for you to choose from. Get oiled with aloe vera or coconut oil, or pummeled by a traditional hot herbal compress. Fancier places may use milk and honey, sea salt and local white mud. Pick from a menu of manicures, pedicures, waxing and a dozen types of massages! Many tourists swear by the Hatta Thai Spa And Wellness Center for an incredible, relaxing experience. Guests can select a various number of massage techniques from head to toe that will be carried out by skilled masseuses. 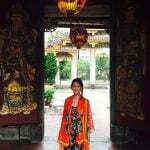 If you’re walking in and expecting a basic Thailand massage, you’ll be in for a pleasant surprise on how professional they handle their business here! For those looking for a cheaper option, yet just as effective, Sima Massage is a fine choice. Koh Chang is a great option for enjoying island life, and it is just hours away from Bangkok. Mix things up a little and go from sea to mountain top. With so many things to do in Koh Chang, you might never want to leave. 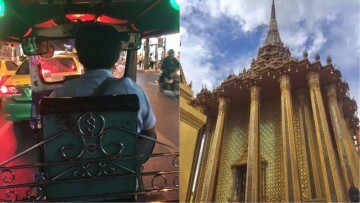 Our itinerary for the City of Angels, including Bangkok and Pattaya!